Powerful daily UV elixir. 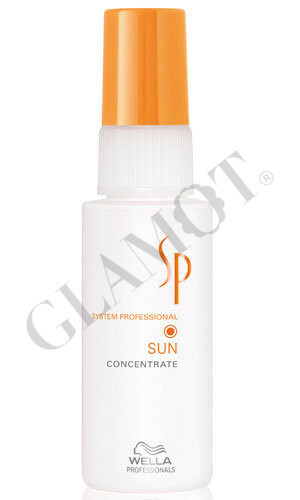 Adds UV protection when used daily with all SP Conditioners. Adds up to 10 hours UV protection in summer light. Helps stop damage caused by the sun's UVA and UVB rays. Protect hair color from fading and shifting in the sun. Provides up to 40% increased color freshness. 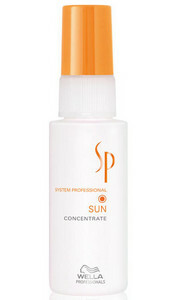 Mix in your hand 4-7 pumps of the SP Sun Concentrate with your SP Conditioner. Then use like you would your normal conditioner.